When it comes to protecting yourself and your business from cyber scams there’s no “one-size-fits-all” solution. As new devices and technologies are adopted into a business the opportunities for cyber-attack become greater as entry points increase. To effectively protect the valuable information that motivates cybercriminals, it’s important to understand the different types of attacks. 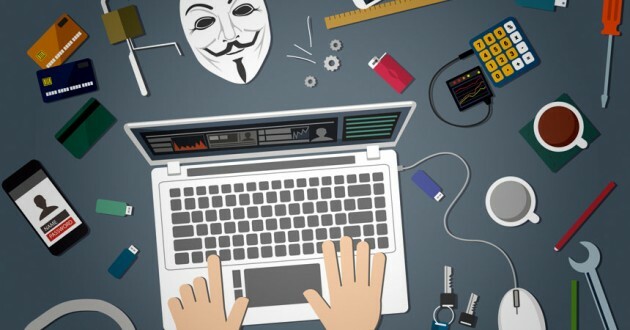 Cybercriminals use a wide variety of tactics to gain access to a device or network and attempt to extort money or steal valuable information. Social engineering is the art of tricking people into handing over confidential information such as passwords or banking details. Check contact names: Use caution if you receive communications from a source you don’t recognise that asks you to take an action, like providing personal information or signing into a website. Most, if not all, companies will never prompt you for your information via email or text. When someone does, this should be considered a red flag that they’re not who they say they are. Check their email address or phone number and compare it with the person or organisation they claim to be associated with for inconsistencies. Look for misspellings and poor grammar: Professional organisations take the time to read their communications over before sending. Oftentimes, phishing cybercriminals do not. If you receive a message from a supposedly trusted source that includes typos, poor grammar or bad punctuation chances are it’s a scam. Look for aggressive behaviour: If the subject matter and language of a message is overly aggressive, it is likely a scam. Have you ever seen an email in your SPAM folder saying something similar to, “Urgent! Your account is X days overdrawn Contact us IMMEDIATELY”? The goal here is to make you uneasy, panic and take the action the scammers want. Instead, check with the party they claim to represent before taking any immediate action. Verify the source of the email: If you receive an email from a trusted source but find it suspect or off topic again using aggressive wording or requesting access to confidential information contact the source using an alternative contact channel such as a phone call or text incase the source’s mail account is compromised. Use discretion when handing over information: While it sounds simple, if users weren’t willingly handing out their information phishing wouldn’t be an effective scam! Maintain good security hygiene: When you practice basic security hygiene, you deny scammers many of the common attack vectors they use to infect your machines and gain access to your information or organisation’s network. The implementation of simple, everyday habits can go a long way toward preventing scams being successful. Beware “free” deals: As the old saying goes, “If it sounds too good to be true, chances are it is.” Many cyber scammers will attempt to lure victims in with promises of free downloads, free shipping, free subscriptions, etc. So, be sure to not only double check the source and read the fine print of any agreements but also do some background checks on the organisation making the offers. Lookout for unsolicited messaging: Rarely, if ever, will tech support reach out to “check in” or offer to fix your computer. If a tech support worker or company is reaching out to you via a popup ad, unsolicited email or phone call or through social media, it is likely a scam. Legitimate companies have established processes in place to update your products and services, such as published patches and updates or ways to address issues that are built directly into the solution itself. Avoid installing anything from an unknown source: Unless it comes directly from a source you trust, downloading anything from the web comes with the inherent risk of infecting your machine. Like baiting scams, cybercriminals will often attempt to offer “free security scans” or “computer clean-ups” which then infect the victim’s computer with malware. Lookout for actors who want remote access to your device: Remote access allows real tech support teams to “take over” a machine remotely to fix it. However, the same technology can be used to quickly access personal information on your device. If a source you’re unfamiliar with asks to gain access to your device, steer clear and report to your IT department. IoT devices are also an increasingly popular attack vector. Many IoT devices are easy to exploit, have a persistent Internet connection and use powerful GPU processors making them ideal for crypto mining and DDoS exploits. Update credentials: The most common exploit strategy is to simply attempt to connect to an IoT device using its default username and password. Whenever possible, change the password on your routers, smart TVs, and home entertainment systems regularly. As people continue to adopt more and more devices that connect to a network the risk of falling victim to a scam increases. Becoming aware of the common cyber scams targeting people today and recognising the tell-tale signs of those scams, will help safeguard your valuable information and networks. Talk to us at Novi for advice on Cyber Security strategies and solutions. Get in touch with us to talk to a Cyber Security expert about the concerns for your business.